Houston, MS: Official graduation rates for Mississippi school districts were released this week, and the Houston School District increased its graduation rate to 89.1%. In 2015-2016, the graduation rate of HSD was 67.6%. The following year, the rate was 82.9%, just barely under the state average of 83%. The state graduation average for 2017-2018 is 84%. “This most recent graduation rate is also a 30 point jump from 2010, during which the district’s graduation rate was 58.2%,” said Tony Cook, HSD superintendent. Increasing the graduation rate has been a major goal of HSD since Cook became superintendent. “Higher graduation rates means that more students have a better opportunity for success in life after high school, whether they go to college or straight into the workforce.” said Cook. Cook is also quick to point out that improving the graduation rate is not just a high school issue, but rather a joint effort elementary through high school. School attendance is also heavily monitored at each building and interventions are put into place for those with chronic absences. Academic interventions are also implemented to increase student growth. The Houston School District is also providing special opportunities for students who are behind, as well as students who are advanced. The Houston School District is also promoting graduation through college walls, college field trips, graduation banners, guest speakers, college scavenger hunts, college bulletin boards, career expos, career days and college days. 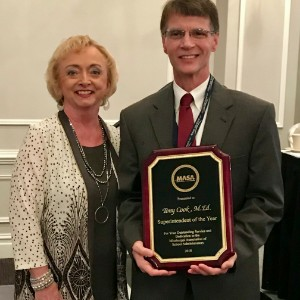 “A dynamic, driven and dedicated leader that promotes excellence in our students, teachers, school leaders and community” are the words one administrator used to describe Mississippi’s 2018-2019 Superintendent of the Year. The Mississippi Association of School Administrators (MASA) is pleased to announce Mr. Tony Cook, Superintendent of the Houston School District, has been selected as the 2018-2019 Superintendent of the Year for the state of Mississippi. In the spring of 2015, Mr. Cook was given the opportunity to return to his hometown of Houston as the superintendent and has since led the school district in achieving its highest rating in history. An incredibly passionate and child-centered leader, Mr. Cook is not one for excuses, but rather, one for solutions. By engaging his local community for support, the Houston School District has been able to overcome some of the challenges that rural and high poverty districts face. Mr. Cook believes in working alongside his staff and provides them with the support they need to ensure the success of children as evidenced by the ongoing improvement of student outcomes. Mr. Tony Cook pictured with State Superintendent Dr. Carey M. Wright. Mr. Cook is married to the former Ms. Pam Kyle of Pontotoc. MASA’s Superintendent of the Year Program provides our school district leaders an opportunity to share their successes in the areas of leadership for learning, communication, professionalism and community involvement with the winner competing during The American Association of School Administrators, The School Superintendent’s Association Annual National Conference on Education. This year’s competition will be held in Los Angeles where all state affiliate winners will be honored. On behalf of the entire MASA membership and Board of Directors, we are incredibly proud to have him representing the great state of Mississippi and we wish him and the Houston School District continued success! 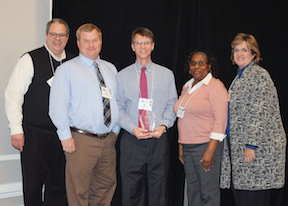 Congratulations to the Houston School Board for receiving the Mississippi School Board Association's Lighthouse Leader Lantern award. This is the first time Houston has received this honor. We appreciate our school board and all they do to help our school and community! School board members include Dr. Daniel Heeringa, Mr. Hugh Pettit, Ms. Christine Gates, Ms. Carol Byrne and Mr. Thomas Howell. Congratulations to Houston Middle School for being named a MTSS PBIS Tier 2 Model Site! National School Breakfast Week is March 5-9, and the Houston School District has reason to celebrate! Since implementing “Grab and Go Breakfast” this past year, breakfast participation has increased district wide. Houston High School has doubled its breakfast participation. Breakfast is important! Research shows that eating breakfast at school improves academic performance, health and behavior. Breakfast is available to every student at HSD for free this year thanks to federal grant money. 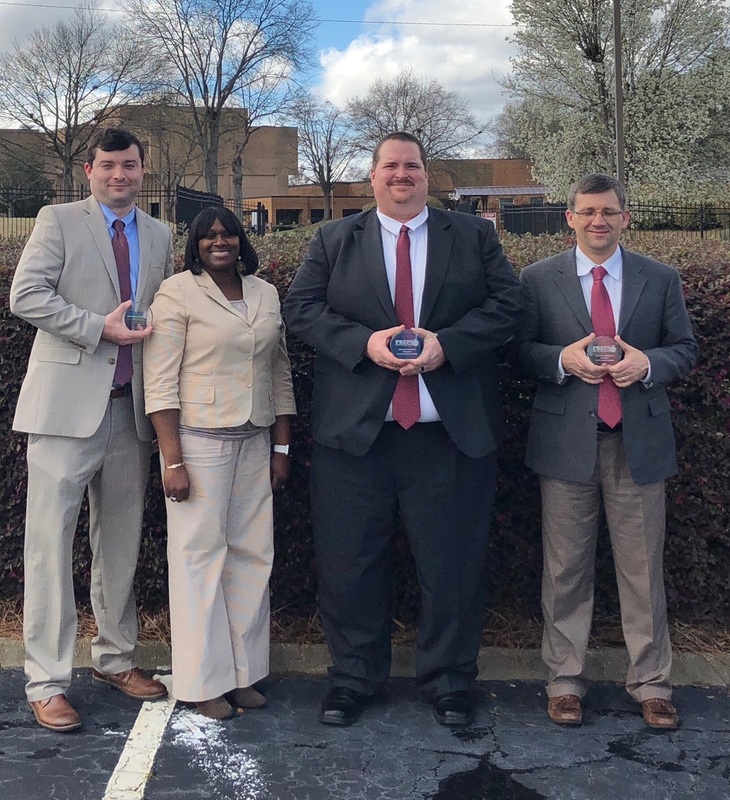 Congratulations to the Houston School District for winning multiple PREPS (The Program of Research and Evaluation for Public Schools) awards today! These honors identify high performing schools. 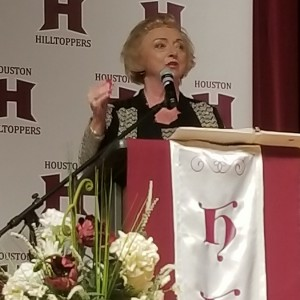 Dr. Carey M. Wright, State Superintendent, recently spoke to the staff at Houston School District about the academic gains being made in Mississippi and the Houston School District. Wright, who has been state superintendent since 2013, shared that Quality Counts, Education Week’s annual report on state-level efforts to improve public education, rated Mississippi as one of five most improved states in the nation. Mississippi was also ranked in top 10 in gains on the NAEP, which is the National Assessment of Educational Progress. Advanced placement and dual credit participation and proficiency rates have doubled. The number of schools and districts rating an “A” has also increased. Wright said the six goals of the state are: 1) all students proficient and showing growth; 2) every student graduates and is college/career ready; 3) implement early education programs; 4) every school has effective teacher and leaders; 5) schools are data-driven; and 6) all districts are a C or higher. Houston School District, which has been rated a B district for the past two years, consistently scores in the top five for schools with the most growth on the MKAS. Houston also has a passing rate above 95% on the 3rd grade Gateway. Houston has also increased its graduation rate from 66.9% to 87% in the last four years.